Although Italy is renowned for its red and rosé wines, it produces also white wines. His most recognized appellations of origin produce high quality white wines, fresh, full-bodied and with a light touch of spicy flavor that usually fascinate the most demanding palates. We have an example of this in Tuscany, a region famous for its Chianti and other red wines, which elaborates also white wines made with the Vernaccia grape variety. Their elaboration is mainly located on the famous medieval town of San Gimignano. Verona produces the soave, another of the most popular white wines. Made from Garganega and Trebbiano di Soave varieties, is usually somewhat dry and goes perfect with salads, fish and seafood. The Classic Orvieto, meanwhile, made in Umbria, is usually sweeter and somewhat dry, defining characteristic of most of the Italian white wine. The Orvieto provides transparent yellow color and a delicate scent, besides having a fresh taste and a bitter touch. In this review of Italian white wines, we can not miss the Frascati, which comes from the city of the same name within the region of Lazio, in central Italy. 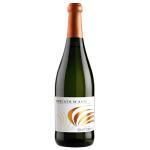 The Frascati wine is dry and intensely fruity. It is usually served cold to drink with appetizers before a meal and is made from Malvasia and Trebbiano grapes. Perhaps one of the most known Italian white wines is the Marsala, produced in the region surrounding the city of Marsala in Sicily, and it is one of the most exported to different countries. 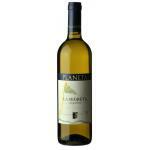 The Marsala is made with the white grape varieties Grillo, Inzolia and Catarratto. And it is also usually served cold with the first or second course, or even with desserts, because of its dry and sweet taste.